Welcome back and Happy New Year to the school community, after the Christmas break. It’s a busy time of year, with mocks and projects for completion, we wish everyone the best of luck for the new school term. Biology Trip: Our Leaving Cert Biology groups attended a practical coursework day in Maynooth University last week, a very useful trip to aid revision at this busy time of the year. Thanks to Mr Kennedy for accompanying the group. BT Young Scientist: A huge congratulations to our successful BT Young Scientists, who represented MCC in the popular Science exhibition in the RDS. TY students Erica Ridge, Darragh Boyce & Hugh Boyce topped their Intermediate Group in Social Science, with their project “Decreasing Childhood Obesity”, based around offering child friendly menus in restaurants to encourage children to choose healthy options when dining out. The group impressed the judges with their hard work and passion to contribute to a healthier society. A special word of thanks to Gerry & the team in The Brandywell for their support of the group. Well done, we are very proud of you here in MCC! Congratulations Hugh, Darragh and Erica! Newsflash!! Since writing school news last week, the news of our BT Young Scientist team’s win has of course brought much delight and celebration in Mohill Community College. Erica, Darragh and Hugh did a marvellous job in coming up with an idea, seeing the project through in a clear and systematic way, putting an attractive display together, and being so informed and passionate about their subject that they wowed the several sets of judges and the hundreds of visitors who visited their stand over three days. A very big congratulations to Erica, Darragh and Hugh, and to their teacher Ms. Eileen Nertney. Ms. Nertney writes the school news for us each week. Leaving Cert Coursework: It was a busy week for the sixth years, with a trip to NUI Maynooth for our Chemistry students with Ms Muldowney on Wednesday to cover experiment work, while our LCVP group paid a visit to Vistamed with Ms McGovern as part of their studies on Thursday. Many thanks to the teachers organising and accompanying students on trips, it is always a great experience for students to apply our classroom based studies to life outside the school. Boys Football: Our under 14 boys were in action against Dunmore last week, under the management of Mr Duffy. In an away game against Dunmore of Galway, the team made a great comeback to take victory, having been down by two points at half time. This sees the boys go through to the semi final, well done to all! Basketball: It has been a busy few weeks for our teams. On Saturday 12th January, the under 16 girls travelled to Glenamaddy for the All Ireland playoffs, with Ms Hargaden Ward where a closely fought battle with Killina of Tullamore saw them narrowly miss out on a place in an All Ireland semi final, hard luck to our girls. The following Saturday, the under 19 girls All Ireland playoffs were hosted in MCC, with teams from Baltinglass, Carrickmacross & Ballaghadereen in action with our own girls. Winning 2 out of the 3 games, the girls just missed out on moving forward with the slimmest of margins on point difference, hard luck and a huge well done to the team and Ms Hargaden Ward on their massive efforts this season. On Monday 21st in MCC, our first and second years took on Ballymoate. The first year boys came through with the win while our second years lost out by just one point, hard luck! 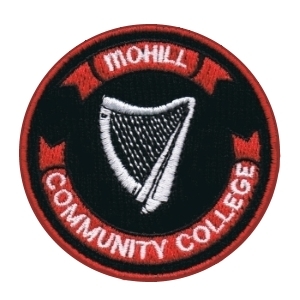 OnThursday, it was the first and second year girls turn to host Boyle in MCC, with a loss in a well fought game, under management of Ms McGovern. Exams: Mock exams are just around the corner, good luck to all our students studying hard and working on projects. The hard work will be worth it! Football: On Monday 28th January, the U-16 boys headed to Ballyhaunis to play last years champions in the quarter final. After a close battle the boys and manager Mr Kennedy came away with victory and continue to the semi final next week. Well done to all involved. Basketball: The boys were also busy in basketball this week, away in Ballinamore with Ms Hargaden Ward on Friday last. The teams won both their games, completing a successful sporting week for MCC, congratulations! Business Studies Award: Congratulations to Liam Ellis & Robyn Gaffey on receiving an award from NUI Maynooth Department of Economics, Finance and Accounting for outstanding academic achievement. Both students achieved an A in Honours Junior Cert Business Studies. The University also acknowledged the role of the school “for their contibution to teaching and the promotion of excellence”. Congratulations to Ms Fitzpatrick who played an important role in this award. Well done to all!